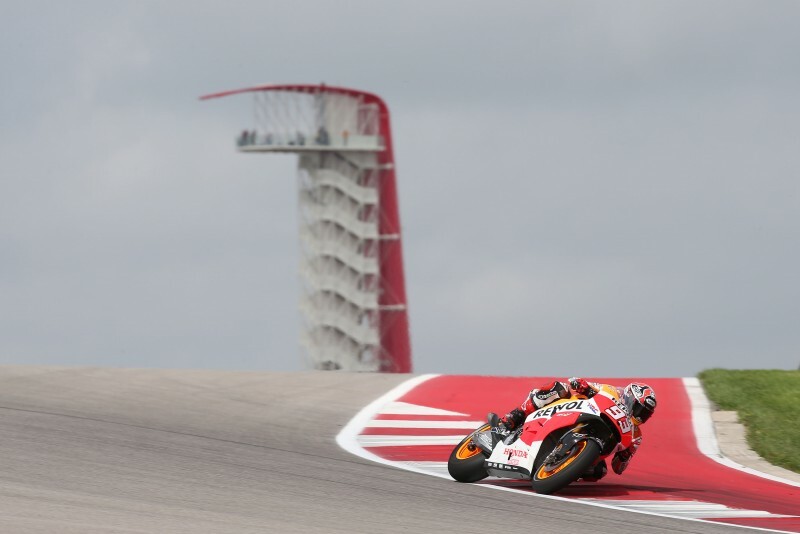 After a difficult start to the 2015 Championship in Qatar, with Marc Marquez making a great recovery from last to 5th, and 6th place Dani Pedrosa requiring further surgery to fix his arm pump issues, Marc and replacement rider Hiroshi Aoyama are en route to Austin, Texas. Dani underwent successful surgery in Madrid last Friday with Dr. Villamor reporting positively but unable to confirm a exact recovery period. What is known is that Dani will certainly miss the Austin and Argentina races, which are back-to-back GPs so HRC have called on the services of their test rider – Hiroshi Aoyama – to replace the injured rider. 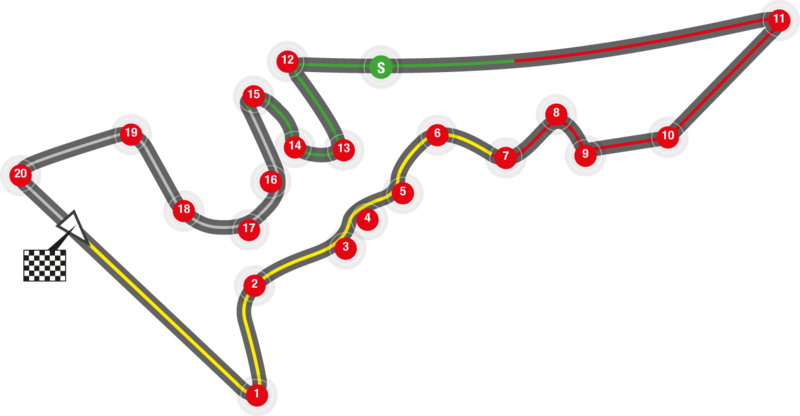 This is just the third time the MotoGP paddock will visit the 5.513km Texas circuit completed in 2012 which features a total of 20 corners with 9 right turns and 11 left turns. Marc took his first premier class victory here in 2013 and also emerged victorious in 2014, with Dani completing the 1-2 for Repsol Honda on both occasions. Hiro – riding for a Satellite Honda team, took 17th in his first outing here and 12th last year. "I’m really looking froward to getting to Austin and putting Qatar behind us. 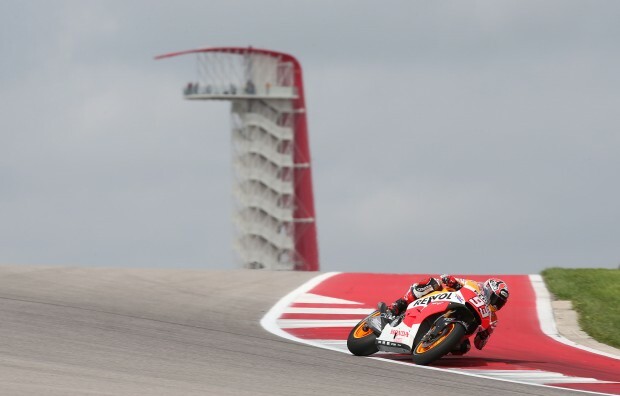 The Circuit of The Americas is one of my favourite circuits and I have good memories of taking my first win in the MotoGP class, back in 2013, and also winning there last year. We need to work hard from FP1 and then keep this momentum for the whole weekend and have a ‘normal’ race. I’m really sorry for Dani, myself and the whole team wish him a speedy recovery. We welcome Hiroshi to the team and will help him how we can!" "I’ve very sorry for Dani’s situation, I know how demanding it is to ride a MotoGP machine and with the problem he had, it’s a great job to finish sixth in Qatar! I would like to thank HRC for asking me to stand in for Dani in Austin, I will do my best and hope to enjoy this experience with the Repsol Honda Team. The Austin track is very demanding and technical, each session will be important to learn the bike and get to know the team, but I am looking forward to being there and racing in the USA with the MotoGP riders. I wish Dani a fast recovery and that he can return on track soon."